This SOLO R53-00055 Bare Eco-Forward 5 oz. 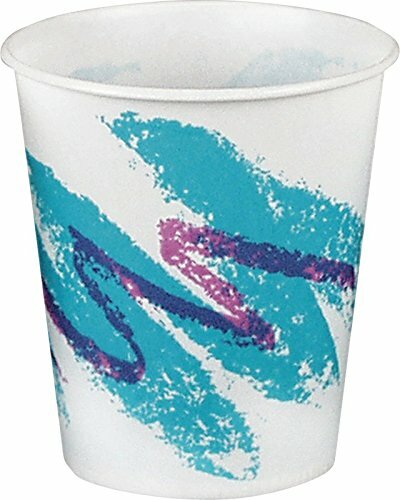 disposable water cup with Jazz print is made of treated paper for resistance to leaking, and has a rolled rim for rigidity. It is suitable for drinking water and other liquids. This paper cup has a 2.5" top diameter and is 2.8" high, and is compatible with a SOLO L53-0100 translucent plastic lid.